A surprise September snowstorm in the Wasatch has folks thinking studiously about the 2016/17 ski season. This is our 3rd annual backcountry preview, which we’ll still call a preview despite having already kicked off the rock-skiing season. Below are highlights of some notable trends and developments related to ski touring and mountaineering gear. Whoa, boots! Lightweight backcountry ski boots garnered by far the most product development dollars and brain-cycles heading into this season. Not long ago there were 1-2 choices of boots that offered true uphill efficiency. This season we count over 30(!) models with the weight, articulation, and transition efficiency that change backcountry skiing from a slog into a jog. It’s an eye-opening change that is rarely made in reverse. 1kg Boots. Looking closer at the lightweight boot category, there has been an oddly large gap between 800-gram race boots and lightweight touring boots that weighed ~50% more. 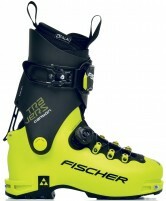 The lines are getting blurred this season with the advent of the Dynafit TLT7 and Fischer Travers Carbon boots that tip the scales right around 1 kilogram. These blend uphill and downhill ski performance into a new sweet-spot for many skiers. Not much heavier, the new Arc’Teryx Procline series also deserves a shout-out with a unique combination of features sure to appeal to the climber in all of us. We expect the Canadian company to receive a very warm welcome into the ski hard-goods category. Dampening is happening. A common criticism of some lightweight (typically carbon) skis has been excess vibration on very hard snow. Two new ski lines gain the focus this year with their ability to fight this unfair generalization. Movement invented a stronger and damper construction that allowed models grow beyond the X-Series’ 89mm width-limit. The new Alp Tracks line features skis up to 106mm wide, with almost insane weights on skis as long as 185cm. But the king of dampness is now Aski, a surprise Italian brand that has built lightweight skis that ride unlike any other. The carbon-infused thermoplastic boards feature long radii and are built for speed. Sophomores rise. Minimal development in alpine touring bindings can be a good thing. That means all the great models launched last year have a season of beta-testing under their U-springs. While folks were leery of Trab toes that look impossibly simple, they quietly proved themselves in situations world-wide. The Dynafit Superlite 2.0 met with success and now has a White sibling with release values more appropriate for most. Many other binders gain yet another season of experience. Racing gets stricter. New gear rules for ISMF races have made some helmets, skin suits, and beacons partially obsolete. Sanctioned races now require helmets with both mountaineering and skiing certifications. Skin suits must have a zippered beacon pocket, and the beacon inside it must now have three antennas. The new rules come into effect on the heels of the organization’s official recognition by the IOC, which means there is a decent possibility of seeing some spandex-clad uphill skiers at the Olympics in Beijing. Skins get faster, lighter. Many folks underestimate the effect skins have on overall efficiency. It’s often simply a matter of square footage, with wide boards being draped in so much material that excess friction is inevitable. Lightening them may help high-steppers, but glide is more important with a natural stride. Pomoca is releasing all new faster skins this season, and Black Diamond is turning heads with their new UltraLite formula. Adhesive experimentation continues with no clear winner. No train, no pain. On the clothing front, the “training” category is getting the most attention. 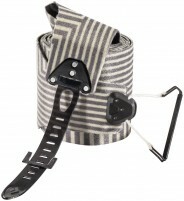 Stretch pants, often with adaptation for boot buckles, are becoming commonplace. 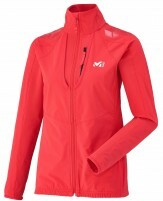 Lightweight jackets are being fitted with features like skin pockets and breathable backs. Matching styles of efficient but not-quite-race garb have been added by Dynafit, Millet, La Sportiva, and Crazy Idea. In the “Et Cetera” category, we have a surprise new entrant in backpacks. Ultra-running specialist Ultimate Direction is now offering a trail-inspired line of skimo packs. These full-featured vests have plenty of storage upfront for carrying fuel and essentials. And of course they nailed the hydration with a custom line of soft-flasks and reservoirs. Speaking of which, Katadyn has partially obviated the need to carry more than 0.6 liters, with an amazingly-easy soft-flask filtration system that you can refill on the go. Us. Thanks for reading. We’ll close with a brief update on the Skimo Co store. We spent the summer improving our fulfillment process and putting some finishing touches on our somewhat hasty build-out last fall. We’ve even started putting together a literary section. If you’re in SLC, stop in to check out the Dynafit Carbonio line which is only available in physical stores. We’ll try to make it in on time this winter while we balance our business and passion. If you want to see some of the snow in the Wasatch from that September storm then go to: http://the-whippet.blogspot.com/ and enjoy the pictures!